Looking for a few fun offline PC games. 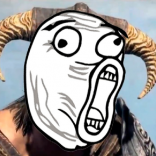 Dovahkiin posted a topic in Fun and Games! So my internet has been out at the house for a while, but I have downloaded a few games like Age of Empires and i downloaded Bluestacks also since fallout shelter came out for android and I like those simple games, but id like something more in depth that are able to played without internet. I have morrowind, oblivionm skyrim and diablo 3 and im just bored of those games. I am open to to downloading with torrents which I do all the time...(oops) Any suggestions?